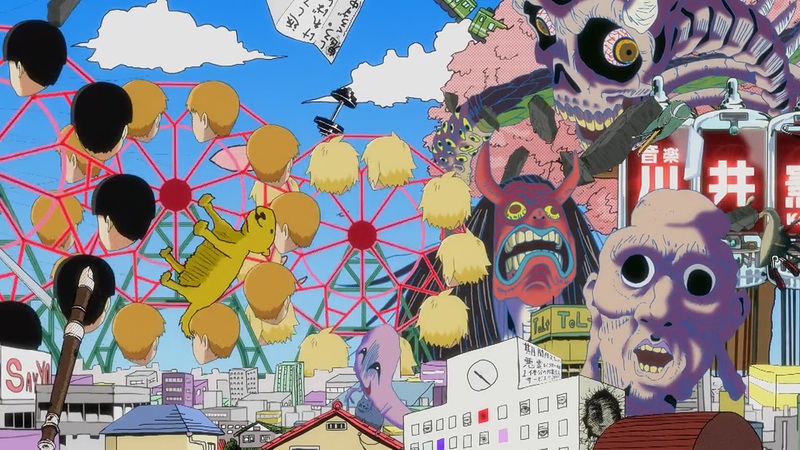 What was most striking about Mob Psycho’s first episode was its wide visual vocabulary – something Yuzuru Tachikawa is unsurprisingly focusing on. 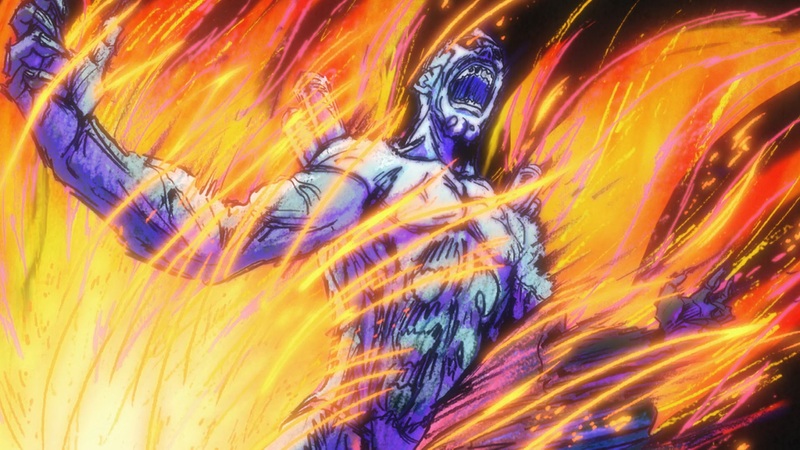 The show is a relay race of styles and even different production techniques, but not quite in the same way as series where lots of idiosyncratic artists coexist; personal voices blur under Kameda’s strict pencil as animation director, and his rough lines become the unifying element of this varied spectacle. The result is an episode that feels like it could have been drawn by one person, yet displays incredible diversity. 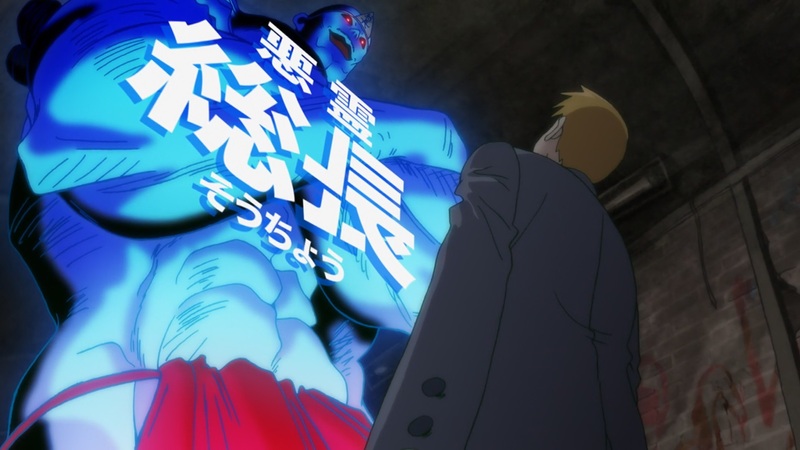 It’s easy to pinpoint the scenes where Kameda channels his Imaishi influences with roots on classic anime comedies, as well as the impactful moments reminiscent of his FMA Brotherhood work, but it’s not as if it operates on two modes it alternates – just about anything can happen at any point. What’s most important is that this range doesn’t form a sterile aesthetic encyclopedia, but rather becomes the show’s main weapon; more than any other recent TV anime, it builds excitement not just for what will happen but for how will it happen. 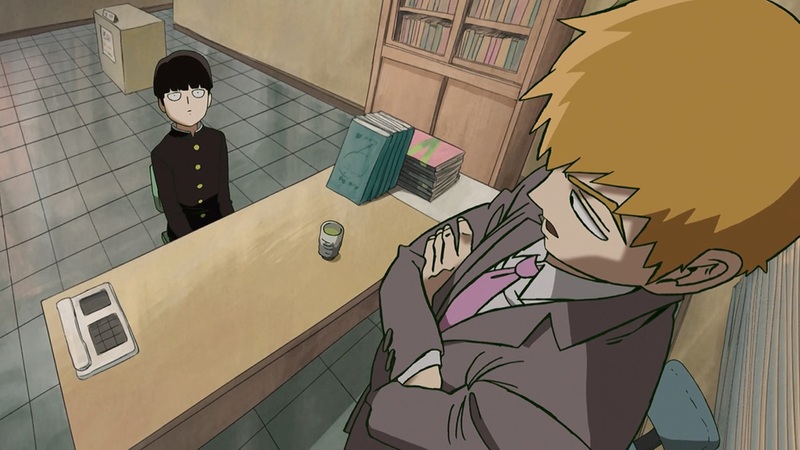 As its director said, Mob Psycho will ideally be like opening a box of very fun surprises. But there is method to its madness, and the entire episode feels cohesive. This is perhaps the most damning comparison to make to One-Punch Man, and one that is actually interesting; while the latter was never as inventive, there was a clear craft divide between its action highlights and, well, everything else. Those boasted of a healthy mix of digital and traditional approaches, but still fundamentally felt like a different series when compared to the show’s downtime. 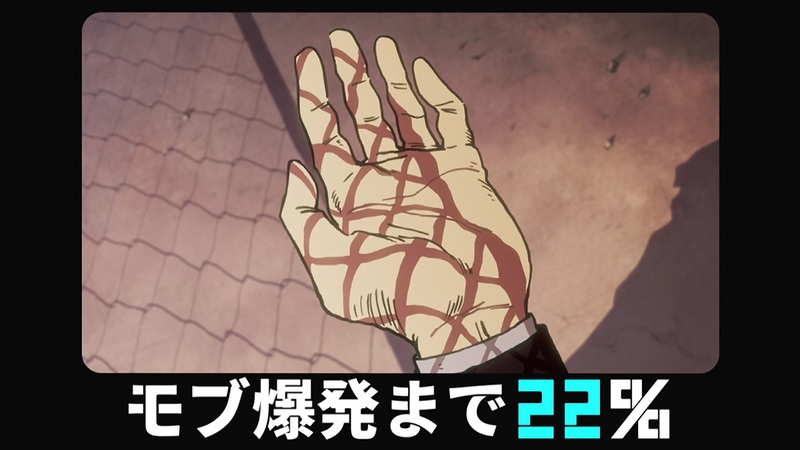 On the other hand, Mob Psycho’s most impressive cuts – those that will make the rounds in gif and webm form – exist organically within the show. There’s an obvious exception on the isolated bombastic intro, but it’s otherwise hard to mark where those big moments even begin. 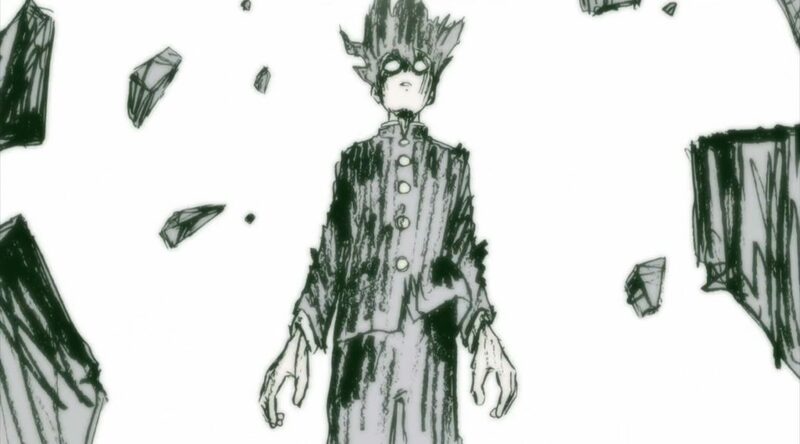 Does the final setpiece start with Keiichiro Watanabe’s ambitious tunnel spin, or had it already kicked off when he animated Mob’s calm and confident walk? Despite the entirely different styles, this reminds me of KyoAni’s strongest productions – rich animation that flows naturally and can’t be cleanly split from the rest of the episode. You could cynically perceive it all as a one trick pony elevated only by outstanding animation; the concept behind the series is unashamedly simple, and even the director has stated that their team’s goal is just to entertain and surprise the viewer. But equating impressive direction with Big Ideas is disingenuous, and does a disservice to the quiet ways in which Mob Psycho sells its main duo. 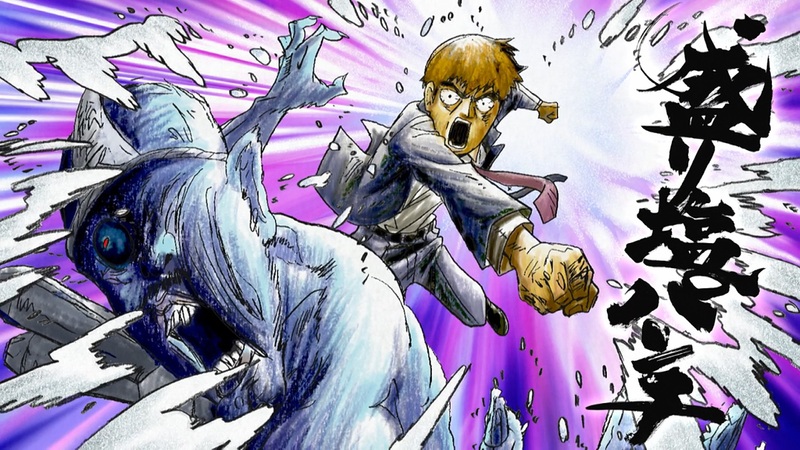 Reigen’s cool persona is mirrored by how he presents himself, yet his bluffs lead him to face foes that obviously overpower him. 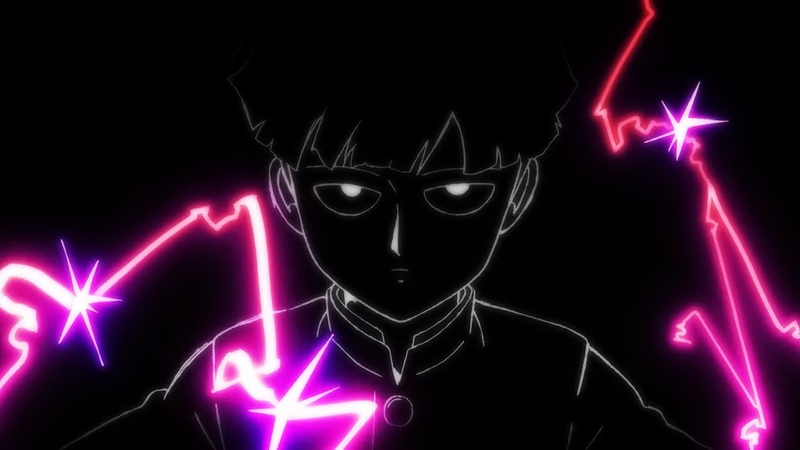 Mob is framed as a comparatively smaller being, but we’re told – and shown – that he’s hiding incredible power inside. The show articulates these contrasts even when there’s no action going on, firmly establishing their dynamic in the first episode. 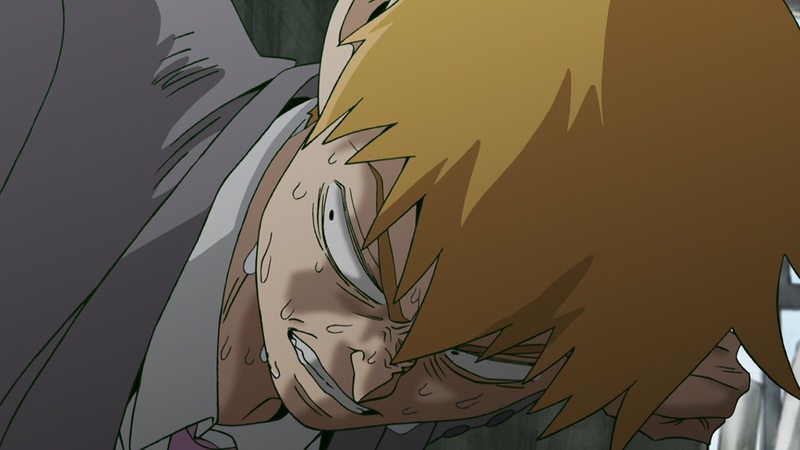 Projects like Mob Psycho are bound to attract the classic false dichotomy of animation vs actual content, since it’s an easy way to discredit good craft, but it seems hard to argue that it isn’t a smartly directed series. Now let’s move onto an entirely different first episode, one that perhaps really “just” had good animation. In the season preview I mentioned Regalia: The Three Sacred Stars as a seemingly pleasant anachronism, and that’s how I felt after the first episode as well; it feels like a rather forgettable sci-fi project from over a decade ago, which ironically is what makes it stand out today. Whether you dig its questionable sisterly bonds or not, the truth is the first episode of Regalia had some fine robot action. The idea of having a light mech visibly struggle against a sturdier robot until it powers up and can easily outmaneuver it is a classic concept, but seeing it solidly executed with mechanical 2D animation is noteworthy nowadays. I was taken by surprise by the variety of FX shapes and styles, as well as by the presence of an oldschool legend like Masahito Yamashita. Less unexpected was seeing Girls und Panzer’s main animator Kosuke Yoshida reappearing in an Actas project, perhaps once more as recurring staff. I’m still not convinced the show will manage to keep this up for the entirety of its run, but either way we got a cool robot fight. Nothing wrong with light entertainment simply doing its job. Since mood whiplash transitions are this week’s theme, how about some Amanchu now? The queen of healing anime is back, with an adaptation that at the very least feels as competent as Aria. Yet my immediate reaction is still wishing for a bit more, so let me be a bit harsh: I don’t think Kozue Amano’s still beauty can be captured in anime form, at least not realistically. But then again I started this piece talking about a project that shouldn’t realistically exist, so why not dream a bit. To reach a similar catharsis as the manga evokes, a perfect adaptation would require an incredible art director and BG art team – Studio Pablo and Chieko Nakamura @ Cocolo come to mind. Many emotional climaxes are triggered by (or at least set within) gorgeous scenery, and the anime doesn’t quite capture that magic. But it’s not all about the destination, since Amano’s series often focus on this treasure hunt of elusive yet obvious beautiful sights. And there’s plenty of room for improvement on that search as well; The Boy and the Beast was an incredibly troubled film, but its initial sequence with a boy getting lost through impossibly connected labyrinthine alleyways made me think of what a perfect Aria anime would have been – smart spatial editing goes a long way. This might feel overly harsh for an episode I adored, and arguably even unfair since it’s also referring to previous adaptations of the same author. 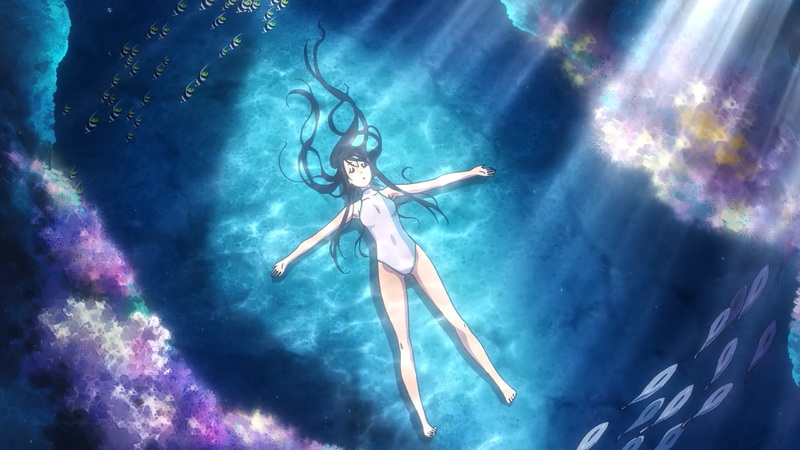 Impossible dreams aside, the Amanchu anime is more than satisfactory; SatoJun and Kenichi Kasai understand the soothing tone perfectly, and I can’t imagine a more fitting BGM than Gontiti’s soundtrack. The draftsmanship is adequate in general, and there’s a lot of care put into Teko’s hair – not by accident! It’s beautiful and full of individual strands when still, but also plenty animated. It often flows like waves, as is appropriate for a show about the sea. 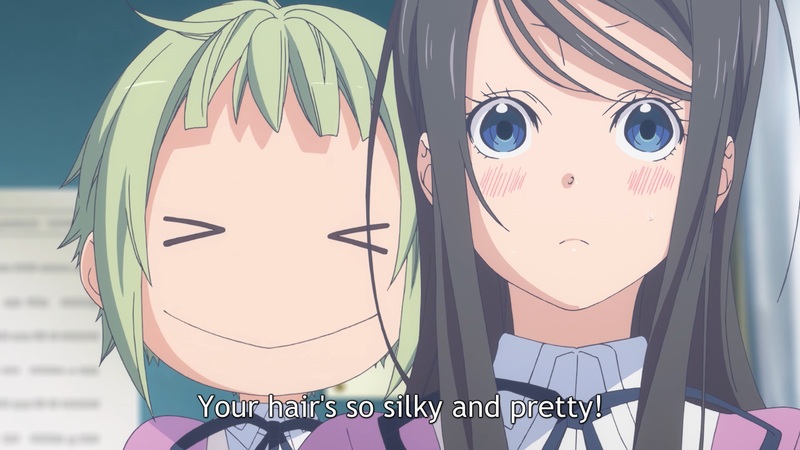 I started by pointing out Amanchu isn’t an ideal adaptation, just like Aria wasn’t, but I’m already in love with these details. This was a heavy week, so let’s end with a quick rundown of some more isolated highlights. A personal favorite was Ryo Araki’s lovely scene in KonoBi; as expected, Oregairu’s main animators have returned to do what they do best. It starts off with delicate character acting, and a reminder that it’s neat to see a good artist’s depiction of the act of creating art. Half a minute of careful body movement, hair with subtle inertia… then the punchline hits, and we get really cute soft smears similar to the ones he used in Haikyuu. The show wasn’t otherwise notable, but that one scene switching from nuanced realism to fun exaggeration left an impression. If we’re talking about neat craft that felt detached from the whole though, I feel like I have to mention the latest episode of New Game!. It briefly showed footage of the 3D game the cast’s company is working on, which as it turns out is actually 2D animation by Miki Mutou. And it seems like it fooled many viewers! Partly thanks to the coloring that gives it a more volumetric feel, but also because the motion is strong. If you don’t pay enough attention, it really could seem like a polished game’s set of animations. For an industry that gets a lot of criticism due to its increasing reliance on 3DCG, seeing the opposite switch happen is quite amusing. I’m satisfied about how this season is turning out, both as a fan and as a writer for this site. We launched on a season with an exceptional project that enables interesting discussions about craft, but also a healthy variety of shows with neat moments worth highlighting. Not every fan will get to the point where they’re invested enough to engage with serious talk about art, which is why it feels equally important to have lighthearted features with a sprinkle of technicalities detailing one moment in anime they might have enjoyed. If we want animation and direction talk to naturally join the discourse, it has to take the wide range of appreciation. Oh. kvin does do things. nice. I’m liking this “just write about a bunch of things I enjoy once a week” format.